Twenty-three miles west of Boston brings us to the rural town of Sudbury, Massachusetts. This historic homestead boasts beautiful farm houses and pre-Revolutionary homes. The town embraces its colonial past, not only in the beautiful architecture you’ll see, but also in its town activities. July 4th is big here, with year-round events that lead up to it. Colonial re-enactors also hold several events throughout the year. Sudbury follows some secondary roads, including Routes 20, 17 and 27 that will connect you to the area’s main highways. On weekdays, a private bus service makes two stops in Sudbury that take riders into Back Bay Station, Park Square, South Station and Government Center. If you like to be active, then Sudbury just might be your new home town. Atkinson Pool is a lap and diving pool that is open to Sudbury residents. For those who enjoy more winter pursuits, there’s great ice skating at Upper Featherland Park. 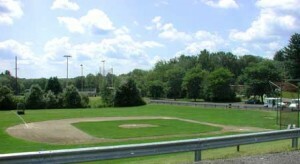 Thirteen fields make up the Sudbury Recreation Department and offer lessons and play in tennis, basketball, soccer and lacrosse. 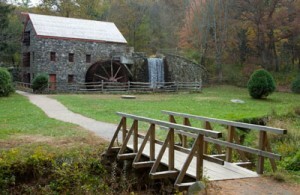 The Great Meadows National Wildlife Refuge is located along the Sudbury River. This is a special habitat for wildlife, including migratory birds. Back to July 4th, the Sudbury Chamber of Commerce holds the annual Firecracker Ball and Sudbury Open to raise money for the town parade. If you’re coming in from out of town and looking to spend a night in Sudbury to get a feel for it, there’s no better place to stay than the Wayside Inn, a historic inn that’s been hosting visitors for almost 300 years. 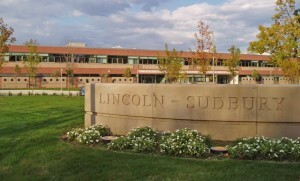 Sudbury high schools students are served by Lincoln-Sudbury Regional High School and Minuteman Regional High School in Lexington. There are also four elementary schools and one middle school. The average SAT score for Sudbury high schoolers is 1759. Visit the Sudbury Public Schools’ website for more information or click on the links below for more about each school. The Town of Sudbury website is filled with lots of local information to help you get acclimated with the area. Need help setting up utilities service for your new home? I have put together some useful numbers and information for Sudbury utilities. If you have more questions about Sudbury, or about any of the surrounding towns, please call anytime. I look forward to hearing from you!